Provide a brief description of this organisation and the industry to which it belongs. You may also want to include in this description any mission statements, value statements or ‘slogans’ that this organisation utilizes to communicate its purpose. In describing this organisation, please also identify its orientation towards marketing and provide relevant, detailed and factual supporting evidence to substantiate why you haveidentified this specific orientation. Finally, include a brief description of the product(s) this organisation offers the market. And comment on what role the brand has in this organisation’s marketing strategy. – a value proposition for the target market(/s). – a positioning statement for the target market(/s). Are you Looking for Marketing Management Help? 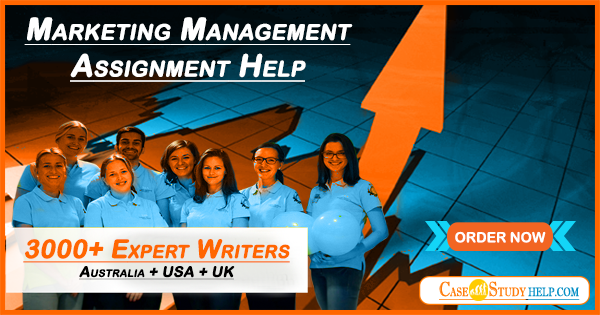 Marketing Management is designed for the students to master we try to provide Marketing Assignment Help that can be used as a model answer to improve assessment solving capability of a student.